We woke to a barely illuminated sky. It’s still pretty dark at 4:30am and it’s been a while since we woke up that early. Strange noises in the darkness turned out to be cow mooing, and we made our way to the communications tower 3 miles away for breakfast. Apparently there had been good trail magic here the day before but yesterday had been far too hot to skip our siesta. Breakfast coffee was in order and after we set out across the exposed ridge of Hat Creek Rim. Carrying 4 litres of water. We planned not to go down to Lost Creek in 8 miles, because we had heard the trail down was deathly steep. The trees were considerably more sparse than yesterday but the morning was still cool and we zoomed across the remaining 13 miles of Rim. The elongated morning shadows seemed to accentuate the shape and shadows of the volcanic terrain. NOBO hikers had complained about the volcanic stones under foot on trail, but they didn’t seem to pose any kind of issue for us. We reached the look out car park for the Rim at around 11:30 where we could start making our decent into Old Station for lunch. An older Russian man stopped me in the car park. He asked if I do this all the time, pointing at my back pack. He then went on to tell me how he had done it for years when he was younger and it was his favourite way to live. In town we aim for JJ’s Cafes and who do we meet there but Justin!! He has been walking north from Truckee (just north of Lake Tahoe & echo lake). 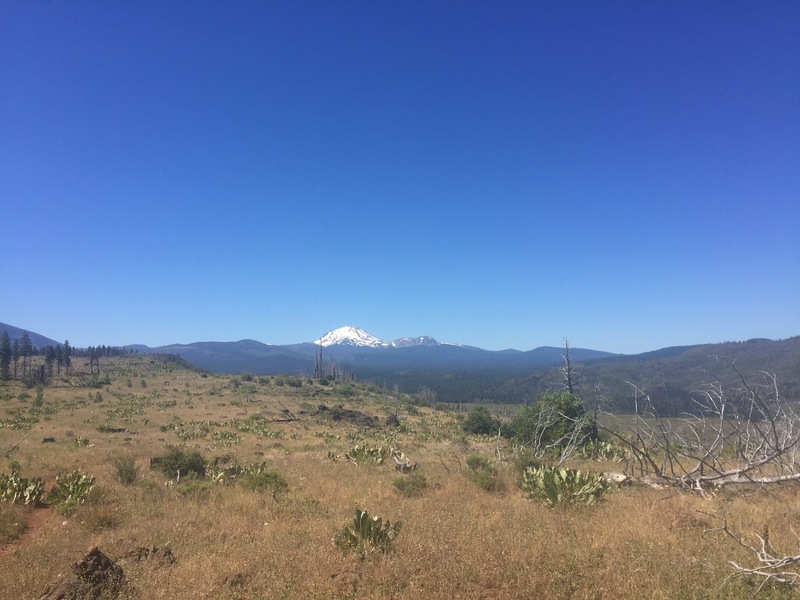 After lunch and a catch up we head to the service station, pick up a cold brew each, and hitch a ride to a forest road that links back up with the PCT. Our ride is a young man who want to walk the PCT next year! It still feels dry and hot but there are considerably more trees and shade. We walk a mile down the forest road. 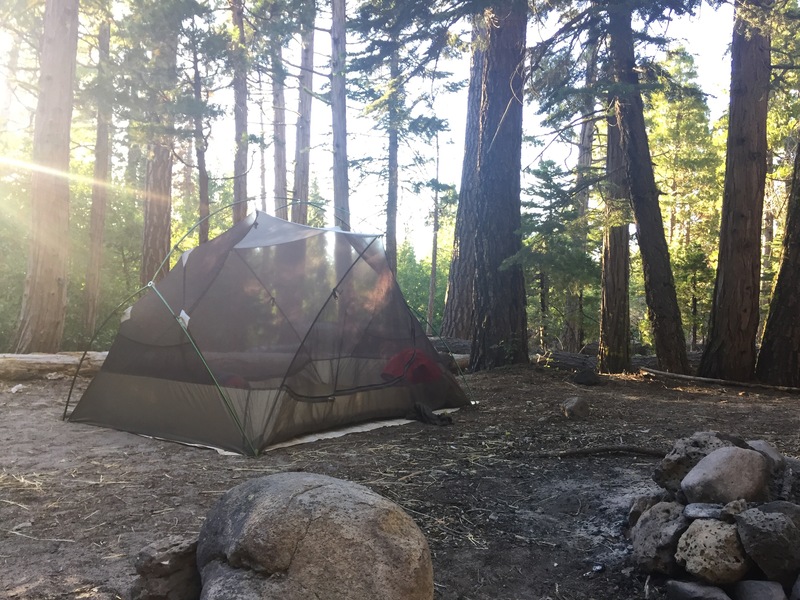 It meets up with the PCT and we head a halfmile south and camp at Hat Creek Tentsite. Princess Layers had recommended this site to us and it was truely beautiful with a roaring waterfall, shade and good swimming holes. We chill here for the afternoon and read until the sun goes down. 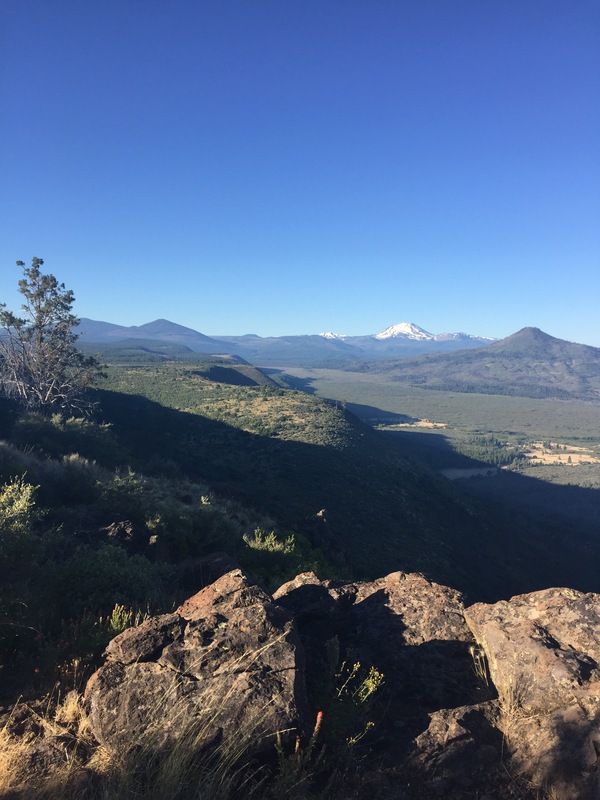 This entry was posted in Flip flop 2 - Ashland OR. 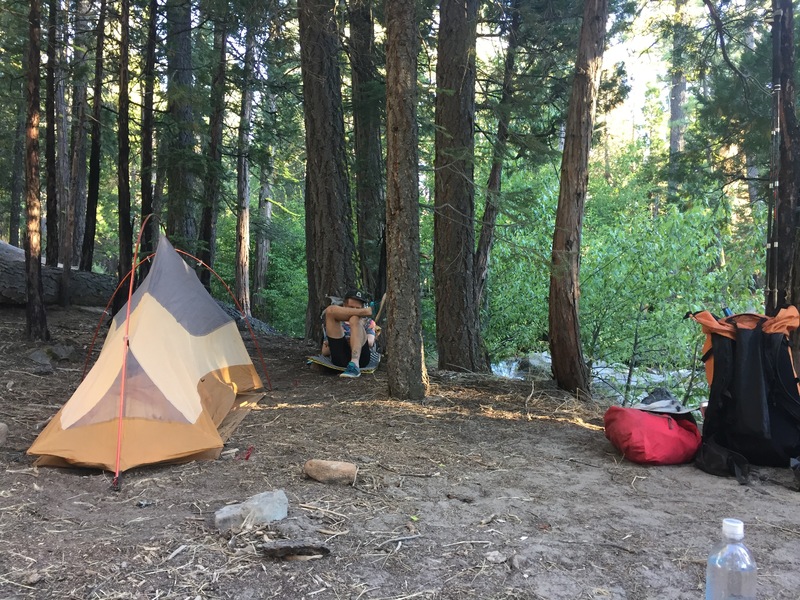 SoBO, PCT Week 13 and tagged #bushwalking, #hatcreekrim, #hiking, #pacificcresttrail, #pct, #PCTgirlgang, #pctnocal, PCT2017. Bookmark the permalink.